Antique chandelier crystal pendant one of the larger pieces in this collection. 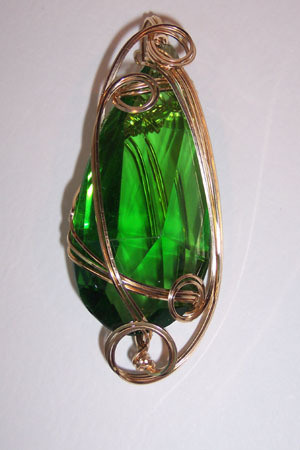 Beautiful grass green sculpted in 14kt rolled gold. Measures 3.75"x1.5'.